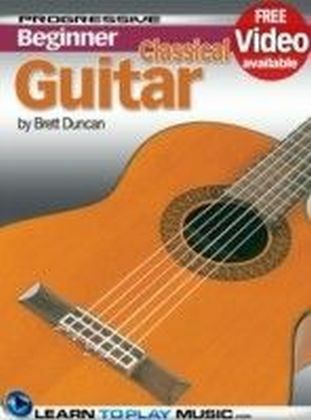 Teach yourself how to play guitar with our easy country guitar lessons. Comes with online access to free audio demonstrating all examples. Hear how each one is played by a teacher, then play along. ",This book is worth buying... that's for sure. Shows some chords and strumming techniques, then shows some picking you can insert in your chord progressions. 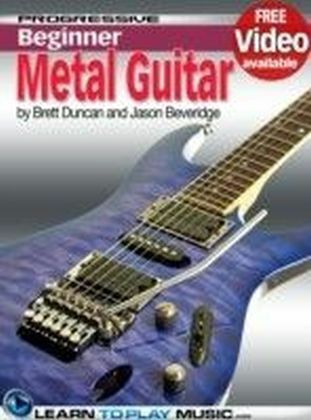 Really a great help for beginners, and people who can play chords but want to prepare for picking/lead playing. Also contains great indices with music theory. 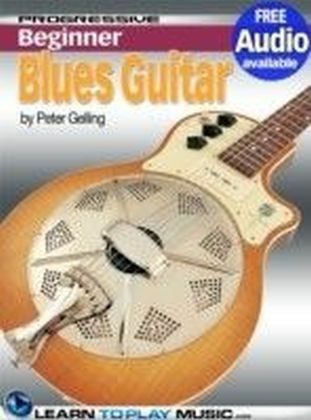 All in all, this book is a must have for Guitarists that want to play country and experiment with finger picking. 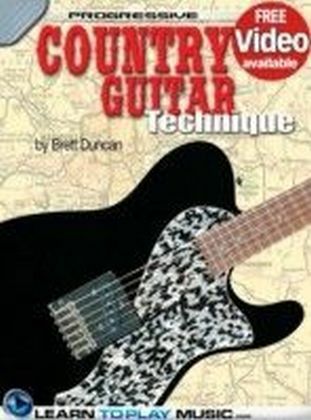 ", - Quinti [Amazon]Progressive Country Guitar Technique contains all you need to know to start learning to be a great country guitar player - in one easy-to-follow, lesson-by-lesson country guitar tutorial. 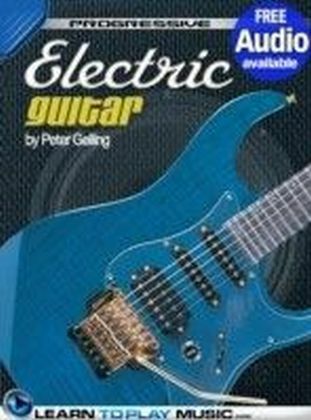 Suitable for all ages and all types of guitars including electric guitar and acoustic guitar. 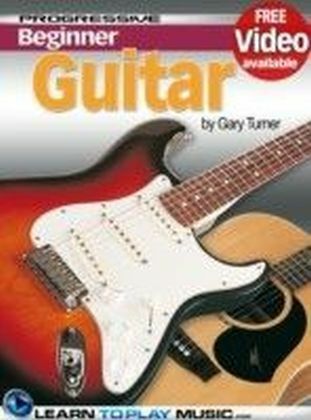 Basic knowledge of how to read music and playing guitar is recommended to teach yourself to learn to play guitar from this book.Teach yourself: How to play country guitar chords and country rhythm guitar strumming patterns How to play country guitar scales, used in country lead guitar solos, riffs and licks All the fundamental techniques of country guitar playing including country fingerstyle guitar lessons Practical guitar theory for learning how to read guitar music for beginners and how to read guitar tabs for beginners Country guitar tips and country guitar tricks that every player should know when learning guitar Shortcuts for how to learn guitar fast and easy by getting the most from guitar practice sessionsContains everything you need to know to learn to play the guitar today.Features include: Progressive step-by-step easy guitar lessons written by a professional country guitar teacher Easy-to-read country guitar music for beginners, country guitar chords for beginners and easy country guitar tabs for beginners Full color photos and diagrams 90+ country guitar exercises, country guitar chord progressions, country guitar riffs, country guitar licks and easy country guitar songs for beginnersGuitar lessons have never been this easy for anyone who wants to learn how to play the guitar, fast.LearnToPlayMusic.com's country guitar lessons for beginners are used by students and guitar teachers worldwide to learn how to play guitar. 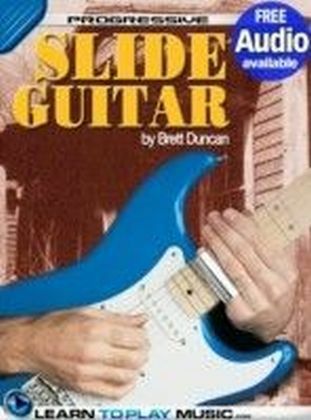 For over 30 years, our team of professional authors, composers and musicians have crafted guitar lesson books that are a cut above the rest. We offer a huge selection of music instruction books that cover many different instruments and styles in print, eBook and app formats. Awarded the 'Quality Excellence Design' (QED) seal of approval for eBook innovation, LearnToPlayMusic.com continues to set the standard for quality music education resources.